Nowadays the nations are all the more in uproars than in any other generations. A hermit or rogue nation has a rocket-man who has a little rocket-man who accuses a tweeter-man who accuses back those who accuse him, only to get accused only to find a new basis to accuse the accuser, in a war of rhetoric. Billy Joel - "We didn't start the fire" - makes a point on the world in turmoil. In His response is found the three segments of the human history: prior era, present era, and post era. Prior era: the era where discussions among the deities were made in regard to the creation (as well as redemption), plans were set out, waiting for implementation. Present era: the time period where after the creation and the fall salvation work continues with the high point of the time being the cross of Jesus where while hanging on the tree atop the calvary mountain the Savior said, "It is finished", so that people beginning Adam to those living till that time of finishing were getting saved by looking and believing in the Son of God (i.e., gospel, the good news of great joy) to come, whereas people living thereafter till now and beyond till the beginning point of the post era have been saved by faith in the gospel that has already been fulfilled. Post era: this is the era when Jesus comes on the clouds of heaven, settle the house in order, and renew the heavens and earth as the new home for the Redeemed. During the prior era, people and the things of the world were in the mind of the Divine. The present era is known as the time called "Now" for now is the time of salvation. We do not know how long this era will last. Some speculated the last Sept. 23, 2017 was going to be the "end" (last day) of the world, but apparently it did not happen, or perhaps almost. Jesus was in glory during the prior era, emptied himself of the glory while on earth, then in Luke 22 prayed to the Father to glorify the Son. This he let those filling the bench to know, that from that time on they would see the Son seated at the right hand of God, only to come on the clouds of heaven. Note: cloud as used here refers to the phenomenon that accompanies the presence of the Divine. It was known more to protect and accommodate the viewers to have fellowship with the Divine than the Deity himself. Yesterday the U.S. president addressed. Today is scheduled for S. korea, russia and china to speak. Tomorrow noko will come out and speak. I watched twice Mt. trump speaking. Through lottery noko rep was assigned a seat right in front of the podium so he could hear trump speak better. But before trump's arrival in boycott he walked out without listening. Later he made a comment on the speech as "dog barking". There are a few more days to go for the assembly. And the scene thus far is embarrassing. I subscribe to news programs like operamini, twitter, utube, RationalWiki: what is going on? etc. On social media apps like facebook, kakao talks I often get bits and pieces of so called news that is going on around the world. But what is the meaning of all that are going in this world 'really'? And why do all these happen? And where will they lead to? In today's Bible reader passage Jesus quoted David who centuries before had overheard and recorded the conversation between God the Father and (pre-incarnate) Jesus. As prophesied, Jesus did come, offered himself on a tree as an atoning sacrifice for men, rose again, and now remain seated at the right hand of God. In the meantime, quoting David, Jesus gives us in a summary form the history lesson according to the meaning of the things that are to happen, that is, the Lord God working through all means in his sleeves (men like evangelists, missionaries, pastors, etc., nature like windstorms, thunders, moon, stars, etc.) to make Jesus' enemies a footstool for Jesus' feet. And Jesus is the ruler of all. 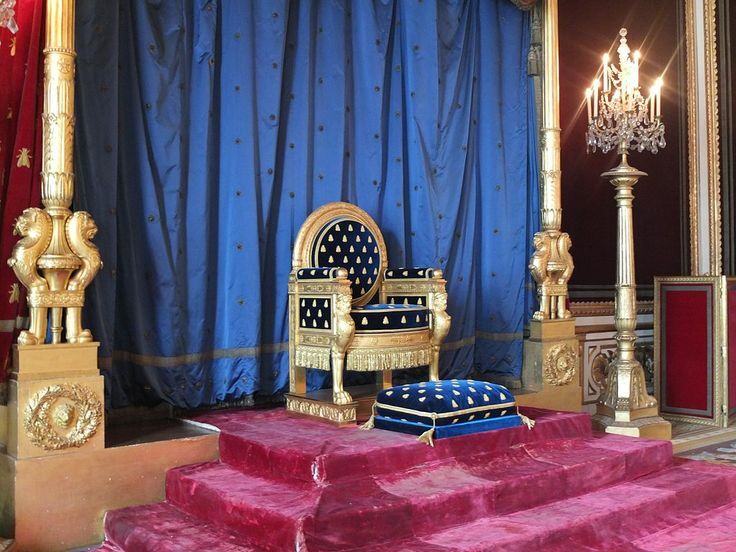 A footstool is something on which you put your feet to rest, as you are seated in a chair at a king's throne room. The revelation as elucidated by the poor country Rabbi from Nazareth keeps modern men from getting confused/confounded/dumbfounded/alarmed/agitated owing to all the 'crazy' things that are going on like war of rhetoric between trump and kim-jung-un, natural or other man-made disasters reported instantly over the internet. Our title was from Genesis 12:2 "You will be a blessing." God blessed our 8 lectures (Iman, Setto, Wisma Hadi, Anang, Kefas, Ian, Martin and Abe Jones). All attendees ( we prayed for 120 but God sent 144) could meet God the creator, who was pleased to create us, who is our hope, who wants to use us as a source of blessing and God of blessing. God raised 7 Life testimony speakers and 6 testimony speakers. Prayer topics: After the conference, we keep on studying John's gospel. May God establish 5 new house churches this year. (2 were already raised and 3 more HCs need to be established). May God bless with 120 SWS attendees and 120 one to one Bible studies. - granting us deep Bible study on Galatians 3 and well-prepared messages to digest the topic deeply;(Reiner Schauwienold (Luke 19), Walter Nett (Gal. 3), Stefan ELsholz (Eph. 2), and Daniel Park (1Cor. 3). - moving our hearts in prayer for North Korea through the presentation by a missionary organization working with YUST and PUST. In summary, God's word challenged us to hold on to our spiritual treasures and to share them with young people in the upcoming winter semester. ​May God raise many people like Martin Luther and his fellows in this generation from among college students, using our 1:1 Bible study and disciple-making ministry. We pray esp. for the house church ministries in Darmstadt who prepared this conference diligently and served us with a joyful new gen concert at the closing meeting: Dr. Moses & Esther Lee; M. Josua & Paulina Kim; M. Ezra & Rebekah Cho. Are you better than the stone? We hear people saying "Hey you stonehead!" In an article a chinese columnist made a remark on S. Koreans saying in effect "they ate too much kimchi so that they became stupid/stone headed/potheads." How insulting! And how barbaric! How un-etiquette?! This reminded me however that every human being ought to grow up rising from a lowly level of mere material like a stone or that of animals/insects, noting that man on falling can and indeed has gone down to the level lower than that of mere mass like a cement bag or a donkey. This morning a friend of mine sent me a video showing an elephant drawing on a canvas a self portrait far better rhan that of picaso! My cat eboney has 12 kittens. Yet she is well fit like a model. When i feed the kittens while her kittens rush to the food box she always stays one step removed. How sacrificial! And she never overeats! There is so much to grow up in the Lord as the apostle peter says: grow up in the grace and knowledge of the Lord! You are not able to serve the Lord. In yesterday's daily bread (Joshua 19) towards the end of his life Joshua said to his audience, "You are NOT able to serve the Lord." This statement bothers the reader because according to the scripture we are called to (worship God and) serve him (only). It is given that God does not (and cannot and should not) ask man to do what he is NOT capable of doing. Why then did Joshua says, "You are not able"? Was it because the flock before him were indeed not able? (1) Yes because as they were they were indeed unable for like stone or donkey they are created beings not the creators so there is a limit to what they can do and serving God is one of the things that they could not do. You are a human being and you cannot travel from earth to moon on foot! Worshiping and serving God is one of the examples that they could not do on their own! (2) No because as the Scripture says that which is not possible with man is possible with God. NOTHING is impossible with God so as the apostle paul says I say "I can do everything through him who gives me strength" and "I live by his faith (in Him)." Joshua might have said this so the flock would know their limit so they would humble repent (of the so called my own man mentality) surrender/turn to the Lord and serve him by faith in him and LIVE! Do me a special favor! It appears that Othniel, though was brave enough to volunteer to go fight against and capture the enemy territory Kiriath Sepher, and thereby earned the blessing to marry Aksah, seems shy (or meek), so supported the family resorting to menial labor, yet not being to afford to buy a piece of land. But, Aksah sort of pushed her hubby to go ask the father in law for a field, which he did and thereby was granted the request. But Aksah did not stop there. She asked her father to do a special favor that since Caleb was gracious enough to give her the land, now she be given springs of water! After all what good would a piece of 'dry' land be, if it were without water?! Apparently Caleb (liked the request; after all she was his daughter, not a regular daughter, but a beautiful one desired by 'all' men in town) granted the request: he gave her upper and lower springs! I'm shouting Hallelujah every day. ** Further Bible Reading: Ezekiel 47, the Spring of the River flowing from the east of the temple (altar) all the way down to the area where the Dead Sea (En Gedi located at the westside of the sea). ** Prayer for the relief from the brush fires razing throughout the west coast.